Now this is what I call "cake"! It has been a while since I wanted to write about the glorious chocolate addiction of mine, then I was too busy traveling from one end of the world to the other, while living on chocolate, and a little too held up to be writing ..though of course the image of chocolate on arrival was always in mind. The name plays irony with me as I, a person of high cholesterol levels should not be having any form of cake, and is highly prone to “death by chocolate” in literal sense. Then again, I find it immensely hard to resist the temptation of “death by chocolate” both literally and figuratively. 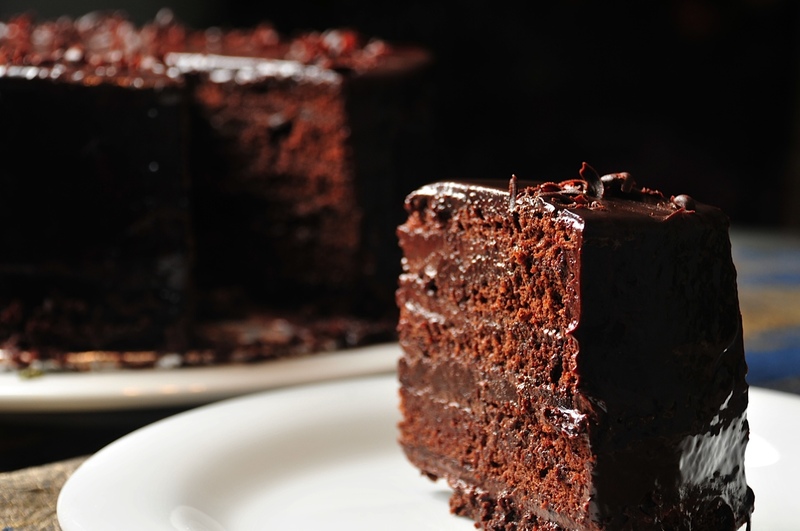 At moments of depression and frustration, I always think of chocolate cake, (this has been the case since a child), but of late, the mind seems to ring only one bell well, and that being the one that goes “death by chocolate”. I would walk the streets of different corners of the world, and still have thoughts of “death by chocolate” in mind (call me lame if you may, then I have difficulty in NOT craving for it). Yes, I am insane, and well mind drive myself to death one of these days, but then again, I wonder who can really regret dying of chocolate! I mean wouldn’t that be any choco addict’s wish? Too many stories and moments link up with the beauty of the cake, while I have spent numerous evenings dropping into Coco to pick just a piece of this glory to make sure I had reduced my temptation levels. I have been banned by my boyfriend and then also Coco herself on purchasing this chocolaty delight. Well has it worked? I doubt. I remember stories of leaving behind a piece of cake in the back of my touk touk and lamenting over it for the rest of the day..(not the best memory to recall) And I remember carrying a piece of cake into Alliance to cheer myself up, just with anticipation that would be for a good cause while trying to get through an extensively annoying day..
Well I am sure the saner ones among you would call me a nuisance for going on for this long about a piece of cake, and who knows I might go on for a while more, edit this and write more..but then for those who know what I speak of I am sure “you” understand that I am NOT speaking of any “piece of cake”. I speak of “the” most chocolaty piece of cake!! OK, time’s up to shush. Off I go to have more choco at Coco ..where the ambiance seems to have vastly improved of late, and for which my nostalgia seems to increase each day..